Many people want to enjoy the outside of their home just as much as they enjoy the inside. Knowing how to build a deck affordably can help to enhance the exterior, add value, and stay within a budget. Affordable decks are entirely possible, though it involves looking at a few different factors. Of these factors, the two most important ones are size and material. Deck building has been done with wood for many years. However, there are new materials becoming available, which includes a blend of wood and plastic. This adds durability and strength so that the decks last longer than ever – even though they may be a little more expensive. The larger your deck, the more expensive it is going to be. You want to make sure that the deck covers everything you want to do on it. This may include setting up a table and chairs, a grill, and more. Look at the size of your family and the amount of entertaining you do in order to help determine the size of the deck as well. Even if you don’t have a large backyard, it may be possible to add multiple layers. Once you figure out all of the details, determining how to build a deck becomes easier. You can take the DIY approach or work with contractors who are experienced. 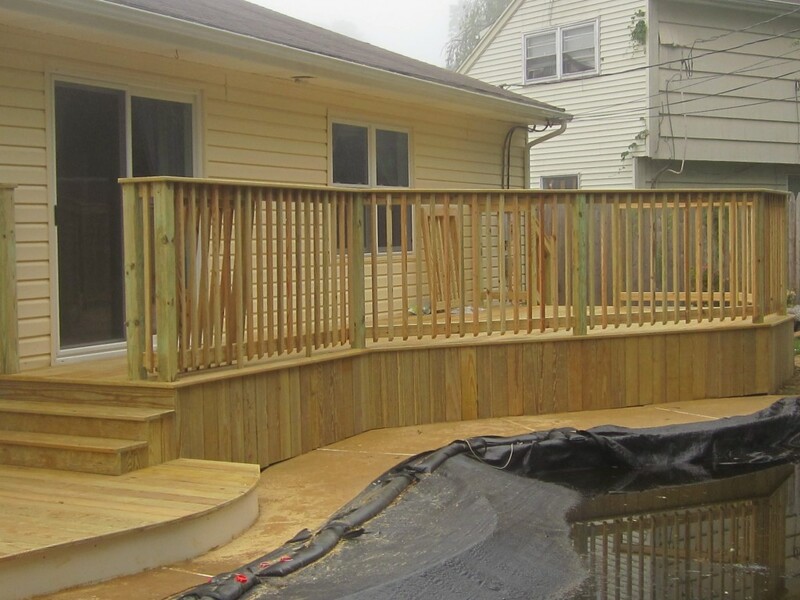 Let them know that you are interested in affordable decks and have them come out to give you a free estimate.